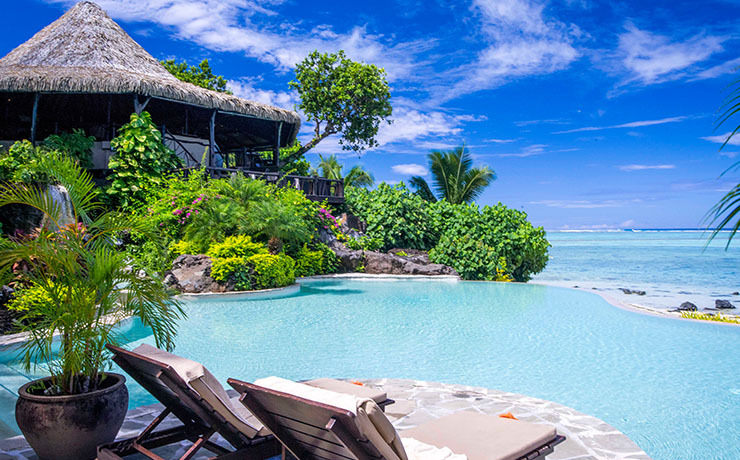 Pacific Resort Aitutaki is a small luxury hotel situated in Amuri, the western side or sunset side of the island of Aitutaki and is geologically part volcanic and part atoll. Discover the most breathtaking lagoon you've ever seen, dotted with idyllic islands and fringed by the azure-blue Pacific Ocean. The resort accepts guests 12 years & above. Recreational amenities include a private beach, an outdoor pool and a health club. The property also features a complimentary airport shuttle, a full-service health spa, and a poolside bar. There are 27 luxurious absolute beachfront bungalows, suites and villas. Ideal for two or three adults, the Premium Beachfront Bungalow Plus has a separate annex allowing additional space for those who require it. Smoking Policy: Pacific Resort is proud that each of our guest rooms are smoke-free. We kindly ask that you help keep our smoke-free rooms just that. Guests found to be smoking in guest rooms will be charged NZ$300 for deep-cleaning. Rapae Bay Restaurant, which overlooks the breathtaking views of Aitutaki Lagoon, the resort's sparkling swimming pool and the soft white sand of the beach. Breakfast is available from 7:30am, Lunch from 11:00am and dinner from 6:00pm to 10:30pm. Our menu is varied daily using the finest and freshest ingredients. Gourmet picnic hampers for beachside outings are available on request. Please advise the resort of any special dietary needs in advance. Room service and meal plans available. Complimentary room upgrade, subject to availability on arrival, bottle of wine in your room and a small gift & flowers in guest’s room. *Conditions apply please contact our Holiday Champion for further details. 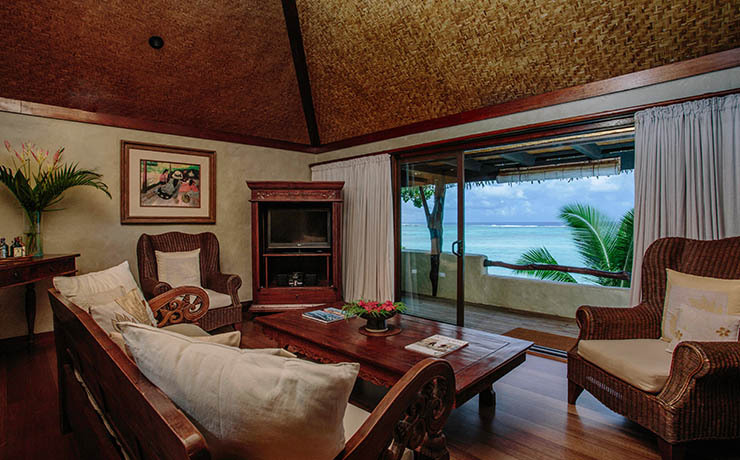 Pacific Resort Aitutaki accepts guests 12 years and over only. This boutique resort is a popular choice for couples, honeymooners and families with older children seeking intimare and exclusive experiences. We dare you not to fall in love with Aitutaki as soon as you step foot on the island. Okay, we might be setting you up for failure. It's hard not to fall in love when there are vibrant blue lagoons, tropical vegetation and stretches of pristine beaches. You can visit the island for the day, but we have a feeling you'll want to stay longer. After all, how could a 24 hours be long enough when this area makes you never want to leave? When you're planning your holiday to the Cook Islands, choosing where you stay is pretty important. There are some resorts in particular that will show you an amazing time and could become your top choice you're in need of an island getaway. 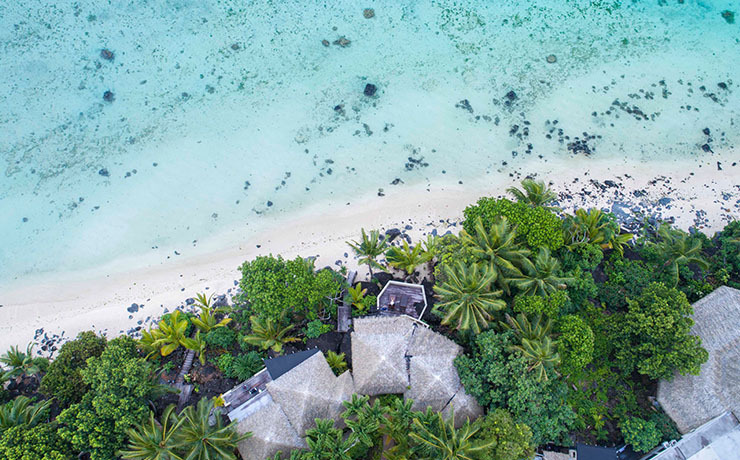 The Aitutaki Lagoon Resort and Spa, as well as the Pacific Resort Aitutaki, are two places that'll give you absolute luxury, but still with that distinctive island flavour. 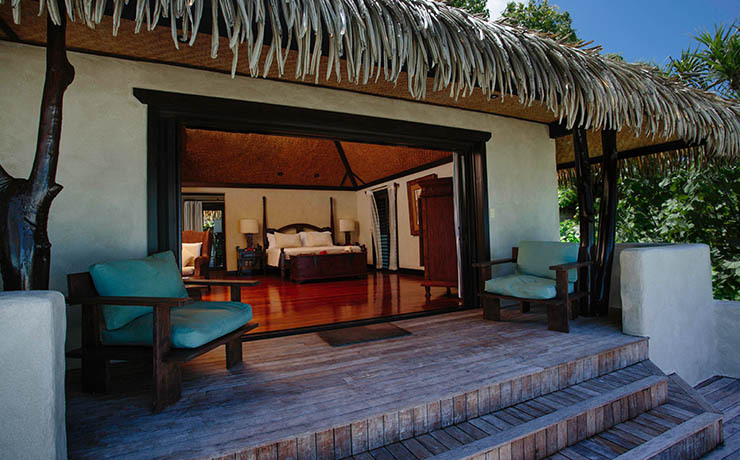 With its location, attention to detail and wonderful facilities, The Aitutaki Lagoon Resort and Spa will have you feeling like a new you in no time. Right on the beach, you'll have private access to the beautiful lagoon, making you feel like a VIP. As the name suggests, it also offers loads of pampering packages. A massage will ease into your island holiday, while a facial will renew your skin. Show your hands and feet some love with a manicure and pedicure. The beauty and spa therapists sure know what they're doing - you're bound to will walk away looking and feeling positively luminous.